The Young Bucks, Matt & Nick Jackson, have signed a new two-year contract which covers both Ring of Honor and New Japan Pro Wrestling, to continue on a similar schedule as they did this year. The deal has a significant increase in money from both companies in both companies for 2017, and another increase in 2018, and will allow them to maintain their own merchandise. They are also going to have more input into creative, as they were the ones who set the wheels in motion for Matt Hardy's video on the show last night. The Hardys have the contractual ability to do the show, which is scheduled for April 1st in Lakeland, FL, the night before WrestleMania in Orlando, at the Jenkins Arena. TNA signed off on Matt Hardy's video appearing on the ROH PPV last night at the 11th hour, as well as on Brandi Rhodes being able to appear to introduce her husband. 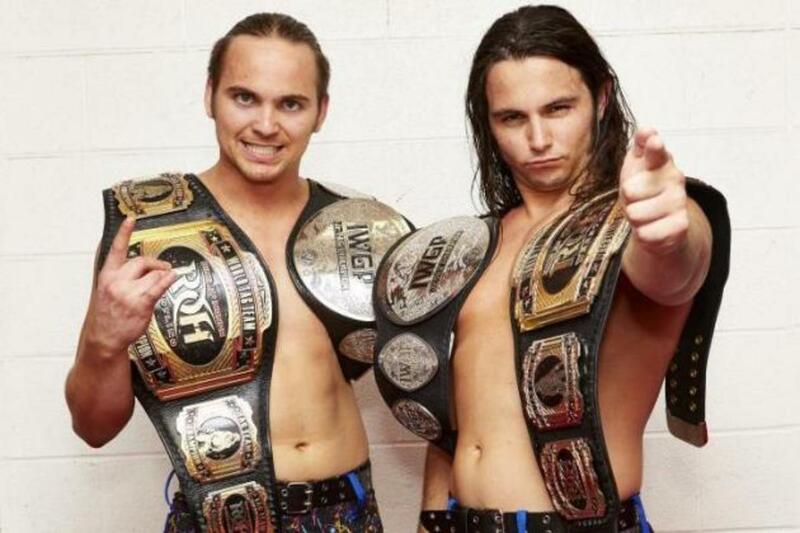 Contrary to rumors, The Young Bucks will not be on the TNA television show at the Hardys Compound and there is nothing on paper regarding anyone from ROH working for TNA, but the fact TNA was cooperative would theoretically mean a relationship has been opened. The contracts are exclusive to the U.S. and Japanese market, but it would enable them to do overseas dates that don't coincide with ROH or New Japan bookings. The only exception is they are allowed to continue working PWG dates.